Our own Bruce Estes was interviewed by the Roseville & Granite Bay Press Tribune about our Young Eagles program. There was a theft on Thursday, November 29th. 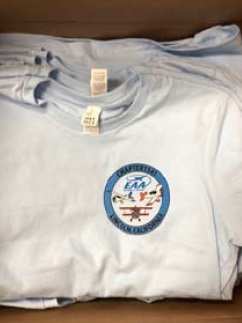 The thieves broke into 5 hangars at Georgetown airport and took small tools and David Clark headsets. It seems to have been 3 people working together (one as lookout), ducking between hangars to avoid passers-by. There is a $1,000 reward for their arrest and the recovery of the stolen items – call (530) 621-5655, case #18-10647. And be on the lookout for any great deals on small aviation tools or headsets. On August 16th, 2018, Nut Tree airport, Vacaville (KVCB) UNICOM frequency will change to 123.05. The change to 123.05 as depicted on the San Francisco Sectional chart will lag and will not show up unitil February 28th, 2019. The Lincoln Regional Aviation Association (LRAA) is sponsoring a Disaster Airlift Response Team (DART) that will provide volunteer services for emergencies within our community. These services range in air transportation for civilian, medical, emergency personnel as well as transporting food, medical supplies and material required to handle catastrophic events. The Lincoln DART Team is still under development and the need for additional personnel / volunteers is greater than ever. Help is needed in “material and passenger” management, “Set-up / take down” crews and ramp personnel. If you would like more information or to participate as part of this important team, please check out their web page. 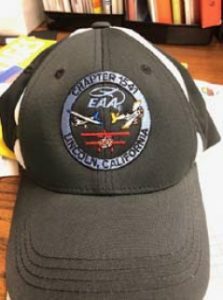 As you may have already heard, chapter member Richard Bristow and his wife, Sue, were killed in an aircraft accident near Petaluma on Sunday afternoon. Richard has been an integral member of our chapter since its inception and was the chapter president in 2014-2015. Both Richard and Sue were regular attenders at chapter functions and I speak for all to say we are stunned and saddened at their tragic loss. Their family has been notified and we, as a chapter, will reach out to offer our assistance in any way possible. Our chapter will provide details as they come available as to arrangements and opportunities to help out. The chapter has no information beyond what has been available in the media. As in all aircraft accidents, I would encourage everyone to refrain from speculation and expressed opinion as the authorities complete an investigation into the accident. Please keep the Bristow family in your prayers this week. Interest in NEW Hangar Space? Chad Coleman has been working with the City to develop a new nested tee hangar at the Lincoln Airport. He’s looking to gauge interest in this possibility. The project under consideration is construction of a new nested tee hangar essentially identical to the two newest green buildings on the field (on the North end of the transient parking ramp). Typical hangar bay sizes would be approximately 42-feet wide and 36-feet deep. Ceiling height would match the existing buildings. Doors would be split sliders just like on the existing buildings. Lease rates for the space are likely to be very similar to what the City charges for the existing buildings. If you’re interested, reply to Chad (916 847-3476) expressing interest. He’s not in a position to reserve space at this time but would be very interested in compiling a list of potentially interested parties and will certainly use this list as the project moves forward.